A few days ago, I signed up as a micro-volunteer at this micro-volunteering site called Sparked. In that site, not-for-profit organisations anywhere in the world can sign up and share challenges. Micro-volunteers can then respond to those challenges by volunteering ideas and time. 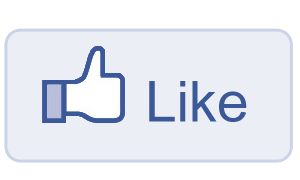 What are your favourite tips on getting more likes on your Facebook Pages? One of the challenges that caught my attention was posted by the Crusader Union of Australia, as this seems to be one of the most common topics of interest with a number of not-for-profits and businesses that I’ve encountered: How to get more people to “Like” one’s Facebook Page. So, I thought it might be good to post the tips that I’ve shared on Sparked here at Vervely too, with the hope that it can provide some ideas for more people. Attract new audience by providing value to your existing “fans”/”likers”. You know that advice in business where they say a good portion of new business should usually come from existing business? It holds true for a lot of things, including gaining more fans/friends/followers on your social platforms. And yes, this applies to Facebook Pages. The basic reason: If you provide great value to your existing “likers”, they would interact on your page much more. Therefore, their interaction would be taken in to consideration by Facebook, so your updates will show more on their Facebook streams. And, their interaction on your page can then be seen by other people in their networks. Plus, if you provide content that people can share, then your chances of getting new audiences increase too. You see, in my experience, contests and such can only provide artificial following unless it’s followed by a good ongoing content and community strategy on your Facebook pages. It’s best to have an engaged group in your community (even if it’s a small group!) than to try and gather as many “likes” as you can and have them un-like shortly after and/or “mute” your page, so you never get to reach them. Granted, that may be an isolated case. The fashion store may have gained a few hundred, if not a few thousand, new fans from that “Facebook Like Drive” promotion. But, how many of these fans and likers would be interacting with their Facebook Page? How many of them would be bringing in new Facebook “likers” organically? So yes, make sure you have a ‘Facebook Page Value Strategy’ before engaging in any ‘Facebook Like Drive’ Campaigns. So, how do you provide value? Here are 5 ideas that I’ve shared. I would love to know if any Vervely reader can add some more to this list. 1. Offer unique and interesting content. This means writing not just about your organisation or brand, but stuff that your audience/community would like and even share in their own networks. For the Crusader, I suggested videos, photos, quotes, bible verses, etc. Your community might value other things. Find out what they’re interested in and share more of those things. 2. Engage with the people in your existing fans/friends. Encourage them to ask questions, share stories, post ideas, favourite things, etc. Just make sure that you have an authentic voice when engaging your community, as this can just as easily backfire. We’ve witnessed companies getting in to major social media panic mode when they weren’t prepared for the responses that they received. Such issues often arise when organisations are not aware of their community’s general sentiment about their brands. 3. Highlight your champions. Who are the people in your Facebook community who provide good value? Encourage them by thanking them, giving special awards to them (albeit, virtual!). Of course, tangible prizes would be nice, and people always love freebies and discounts. But, sometimes, even digital badges that people can share/like can be very helpful. 4. Have an “Invite a friend to our FB page” Day. A campaign/contest around empowering the members of your community have good potential for decent impact. This is not your average “Like Our Page” drive. It’s about getting your existing fans and likers to help in championing your brand. Of course, by asking people to do something for you/your brand, you have to be mindful of what you’re giving back. 5. Ask your community how you can get more friends/fans on your FB page! It seems very meta, but seriously, they’re the people you want to reach so they’re the ones who can tell you what they want and what people like them may want. So, if they say they’d like a contest, some discounts, etc, then those ideas are worth considering. You can promote this idea gathering to your networks. Perhaps, you might even run a competition on this and pick some of the best ideas. Even if you only have a handful of people submitting ideas, make sure that you highlights those who did contribute. So yes, to summarise: Empower your community to grow from within. Yes, you can try general campaigns and even advertising your page. They’re very valid ways to increase your Facebook Page likers. But, likers don’t always become community members. So, if you want a more engaged Facebook Page, consider what you need to do not just to gain new likes, but also how you can make sure they want to stay there too.